If Sam Raimi’s 2002 Spider-Man is still fresh in your memory, there’s a good chance the new reboot might feel boringly familiar.Despite its faults – the standard-issue storyline, the 138-minute running time, a thankless role for Irrfan Khan, and the gratuitous 3D – this reboot of the Spider-Man saga rests almost entirely on the romance between its leads. Indeed, Garfield and Stone alone make this movie worth your time. I’m going with three-and-a-half out of five for The Amazing Spider-Man. You’ll be surprised by how warm and funny it is. Definitely deserves a watch! it’s the romance between Andrew Garfield and Emma Stone that takes this Spider-Man movie to a whole new level of EQ (emotional quotient) stuff. But then, as Spider-Man, he takes too long to don the Spidey suit. In fact, for most part he is seen settling scores without the Spidey mask… after long, long gaps. Finally, even his web does not come naturally to him. He has to work to get that mechanism in place. Of course, when he does dizzily bungee jump across the Manhattan skyline – specially in the King Kong type climax — he still sends a thrill down your spine.For this Spider-Man, to err is (super) human. He trips, slips and fumbles… till he actually slings across skyscrapers… and stoops to conquer. Despite my reservations and lack of fervor, I have to admit The Amazing Spider-Man was a lot of FUN.Webb takes that heart and builds it into a beautiful romance between the nervous, sentimental, introvert Peter Parker and his plucky schoolmate Gwen Stacey much to the disapproval of her cop father, played by a wonderful Denis Leary. Not to mention, Spidey’s multi-purpose web could put candlelight dinners out of business.What I really found interesting though the film doesn’t end in the spirit of action but lingers on a bit to emphasise on Spider-Man’s growth and realisations. And after a brief roll of closing credits, there’s a sly suggestion of a possibility. We know it as sequel. Watching this film, with all its rebooted bells and whistles, you wonder why there is so little in it that’s new. The familiarity with the story makes things predictable. Even the new Spidey feels like we’ve seen him before as the webbed wonder.If you stop mining it for its self-proclaimed amazing qualities, and overlook its slow patches, ‘’ The Amazing Spider-man’’ is watchable enough, even though it did not make my jaw drop anywhere, and that is pre-req for a superhero movie, no? My tip : go with Spidey noobs, and you will have much more fun. While the story of The Amazing Spider-Man just about succeeds in working its way around origin-story fatigue in viewers, watching Spider-Man skim past the skyline with the greatest of ease never ceases to be an exhilarating experience thanks to the vivid employment of 3D and James Horner’s rousing score.The Amazing Spider-Man is a reasonably well-done reboot which manages to make an emotional connection with its audience irrespective of how it appears to ostensibly shun its source material and the ever-present but sometimes- stodgy back story. However, the action, performances and stylised spectacles is thrown the audience’s way are sure to have its senses tingling all the same. What’s Good? : The new changes in the story; the fight sequences; Spidey’s romance. What’s Bad? : It can seem like old wine in a new bottle at times; Dr. Curt Connors’ sudden change of character. Verdict: The Amazing Spider-Man is a nicely rehashed tale of the webbed superhero. Watch or Not? : Watch it if you want to get your Spidey-senses tingle all over again! A nerdy schoolboy from Queens gets bitten by an altered arachnid — again — in “The Amazing Spider-Man,” a mostly slick, entertaining and emotionally involving recombination of fresh and familiar elements. 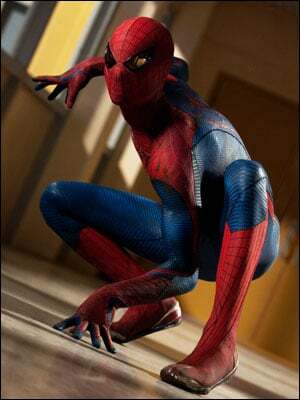 With the propitiously named Marc Webb at the helm and a solid screenplay, Sony’s reboot of its successful franchise, arriving five years after the last Sam Raimi-directed installment, is gratifyingly more of a drama-with-action than a nonstop assault on the senses. Benefiting enormously from the perfect chemistry of leads Andrew Garfield and Emma Stone, this superhero date movie should do boffo biz, though only strong word of mouth can confer must-see status.